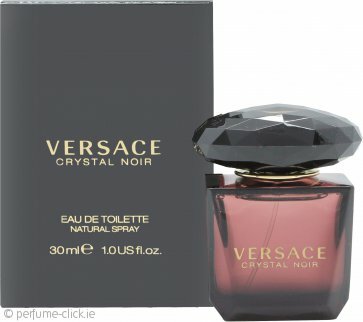 Versace Crystal Noir is a floral/oriental perfume, precious, elegant and ultra-feminine. At the heart of Crystal Noir is gardenia, a luminous, creamy, yet subtle flower. Blended with warm, strong amber, it creates a contradiction: sweet and sensual, earthy and sophisticated. Just like the wonderful contradictions of a woman's personality.